A totally natural manuka honey face mask. 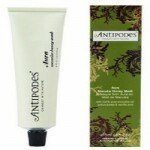 Antipodes makes great certified natural products that are also scientifically based. Cleanse your face with this great manuka honey face mask. 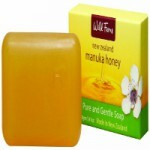 Manuka Honey Gel is first aid for trouble spots. Made with active manuka honey with its remarkable properties. Soothes and cleanses the skin. An emergency repair gel for your skin made from active manuka honey. Living Nature's products are certified organic and harness the amazing properties of manuka honey for the skin. Thanks to manuka honey's amazing properties on the skin, it makes a great natural ingredient for this Wild Ferns skin toner. One of the main ingredients in this Manuka Honey Exfoliating Facial Scrub is AAH 650+ (Antibacterial Antioxidant Honey) manuka honey, which has many benefits for the skin. Wild Ferns produces a wide range of skin care products that are made with natural ingredients. Wild Ferns Manuka Honey Facial Cleansing Bar is made using AAH (Antibacterial Antioxidant Honey) 650+ manuka honey from New Zealand and uses the honey's natural cleansing and healing properties. Wild Ferns produces high quality skin care products made with a potent manuka honey that has been tested for is bioactive levels. Give your face a deep cleanse with this facial cleanser made with active manuka honey by Wild Ferns. Suitable for all skin types and for removing makeup.